DEA Administrator Michele Leonhart is expected to resign soon, an unnamed "senior administration official" told CBS News this morning. The embattled DEA head has been under fire for years over her leadership of the scandal-ridden agency, but it was her performance at a Capitol Hill hearing last week that sealed her fate. Members were infuriated by the DEA's handling of the case, in which 10 DEA agents were accused of wrongdoing. Only seven of them were disciplined, and the punishment was extremely light: they were suspended for periods of one to 10 days. Leonhart drew the wrath of committee members when she claimed she was unable to discipline the agents more severely. "What would it take to get fired at the DEA?" asked Rep. Trey Gowdy (R-SC), who said he was "stunned" that no one had been fired in the wake of the revelations. "What the hell do you have to do?" Committee Chairman Rep. Jason Chaffetz (R-UT) told Leonhart that as agency head she carried much of the responsibility for what he called "a cultural problem" at the agency stretching back years. Immediately after last Tuesday's hearing, 22 members of the committee signed a joint statement saying they had "no confidence" in Leonhart's continued leadership. And now word leaks from the White House that Leonhart is about to become history. It's been a long time coming. 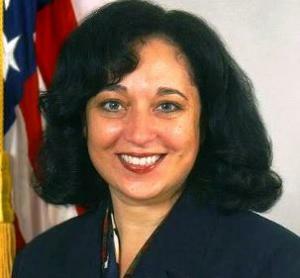 The veteran DEA administrator and her agency have been embroiled in scandal throughout her tenure. And she and the DEA have been increasingly out of step with an administration that has shown an interest in rolling back drug war excesses, from major sentencing reforms to largely (if belatedly) adopting a laissez-faire attitude toward medical marijuana and even marijuana legalization in the states. The Department of Justice's Office of the Inspector General currently has six open into numerous DEA scandals, including the massacre of civilians in Honduras, the use of NSA data to both spy on virtually all Americans and to systematically fabricate evidence, and controversial uses of confidential informants. Last May, The DEA created a political firestorm this week when it seized seeds bound for a Kentucky hemp research program that was approved by Congress. Then Minority Leader Mitch McConnell (R-KY) called the incident "an outrage" and the Kentucky Agriculture Department sued the DEA. The DEA's refusal to acknowledge science. DEA Administrator Michele Leonhart has on several occasions ignored science and overruled the DEA's own administrative law judges on medical issues relating to marijuana. In a bizarre 2012 debate with members of Congress Leonhart refused repeatedly to acknowledge that marijuana is safer than cocaine and heroin. Drug reform groups, such as the Drug Policy Alliance (DPA) and the Marijuana Policy Project (MPP), both of which had been calling for Leonhart's head for some time, were elated, but urged the Obama administration to use this as an opportunity not to just put a new face in charge of DEA, but to change the agency's direction. "Leonhart's DEA reflects an outdated, disastrous approach that President Obama claims he wants to leave behind,” said Bill Piper, DPA director of national affairs. "If she leaves, he has an opportunity to appoint someone who will overhaul the DEA and support drug policy reform. The DEA is a large, expensive, scandal-prone bureaucracy that has failed to reduce drug-related problems. Drug use should be treated as a health issue instead of a criminal justice issue; with states legalizing marijuana and adopting other drug policy reforms it is time to ask if the agency is even needed anymore," he said. "Ms. Leonhart consistently and recklessly undermined President Obama's mandate that public policy be guided by science instead of ideology. Her resignation will allow the president to appoint an administrator who will rely on the facts rather than ignore them," said Dan Riffle, MPP director of federal policies. "Most Americans, including President Obama, recognize the fact that marijuana is less harmful than alcohol. Yet, Ms. Leonhart was unwilling to even acknowledge that marijuana poses less potential harm than heroin and methamphetamine," Riffle continued. "While most of the country has been progressing in its views on marijuana policy, Ms. Leonhart has maintained a mindset straight out of the 1930s. Hopefully her resignation will mark the end of the ‘Reefer Madness’ era at the DEA." Who would reformers realistically hope to see replace Liarheart? I'd naturally like to see Neill Franklin, but somehow I don't think Obama is ready for that. It's about time... Someone who doesn't know if meth is more dangerous than marijuana should not head DEA.